The title of this story seems to be a paradox, but it is not. Read and find out why. He is of the same age group as myself. In 1961 when he was 14 years old, Jurgis discovered a radio club in the school he attended in Kursenai, a small town near Siaulai in the northern part of Lithuania. The club had the call sign UP2KCF and was active since the group of curios pupils was fairly large and the enthusiasm for DX and contesting was contagious. In 1965 he went to Kaunas for studies at the Kaunas Polytechnic, where the renowned club station UP2KNP was already in bloom. 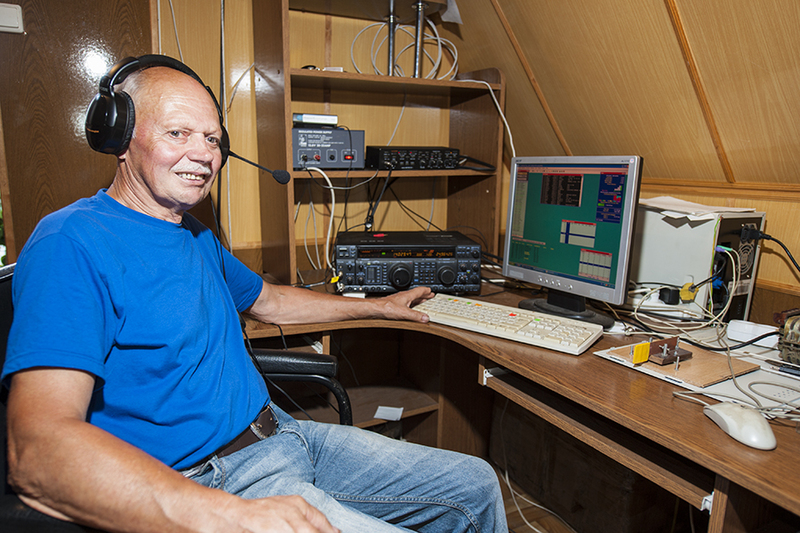 Jurgis received his own call sign UP2CY in 1965, but used it only during holidays at home. 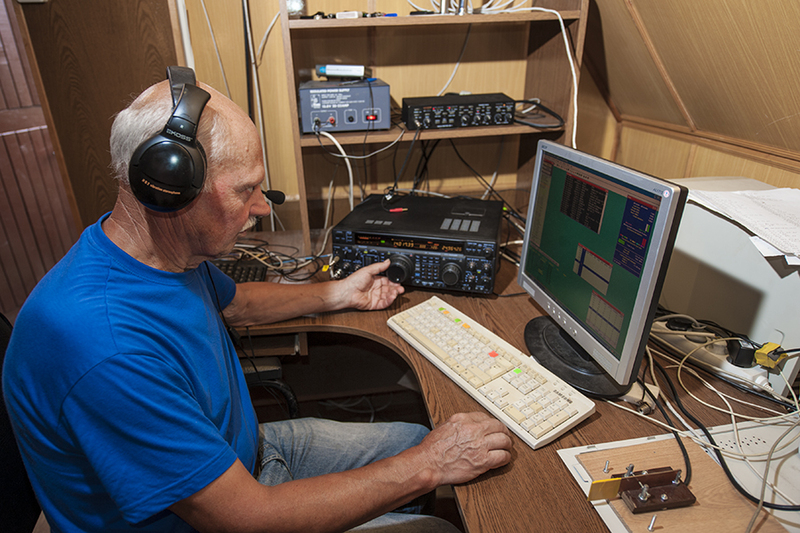 The years spent at the Polytechnic and its radio club gave a lasting effect on his approach to Amateur Radio. The group was always ambitious, aiming high, improving the skills of individual members and progressing as team. In 1974 Jurgis returned to his hometown, got married, found a good job at the local factory. Everyday work and family life did not keep him away from the hobby. When his children, daughter Vita and son Andrius were in their early teens, they both took up the same pastime. When Vita and Andrius got their Amateur Radio permits, they all became the founding members of a radio club at the factory where father worked at. The call sign was UP1BYC, later LY1BYC. 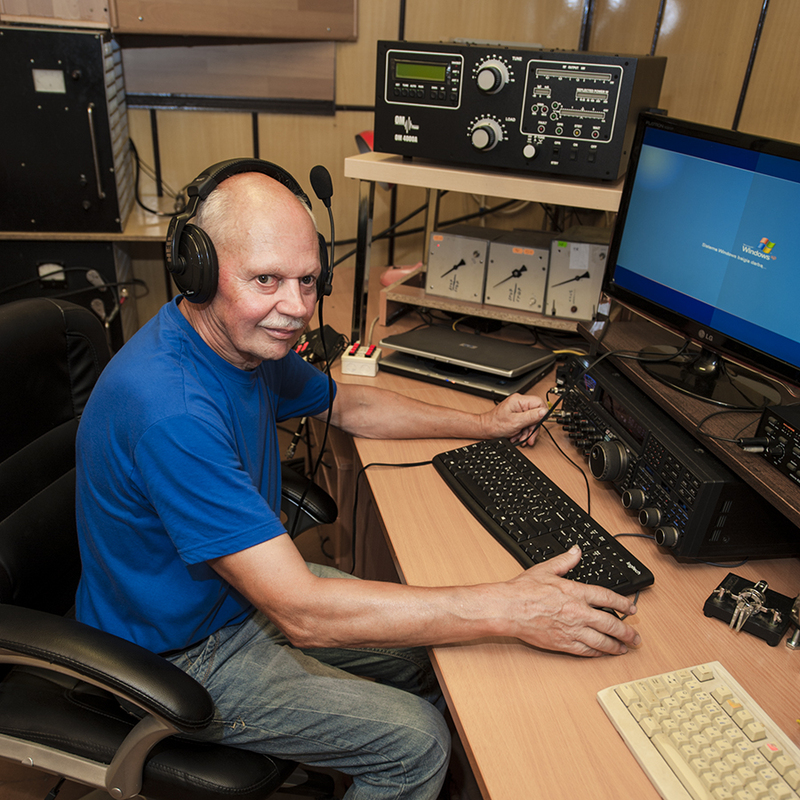 Andrius has become a first-class contest operator while Vita discovered the Amateur radio direction finding and is one of the best Lithuanian competitors now. 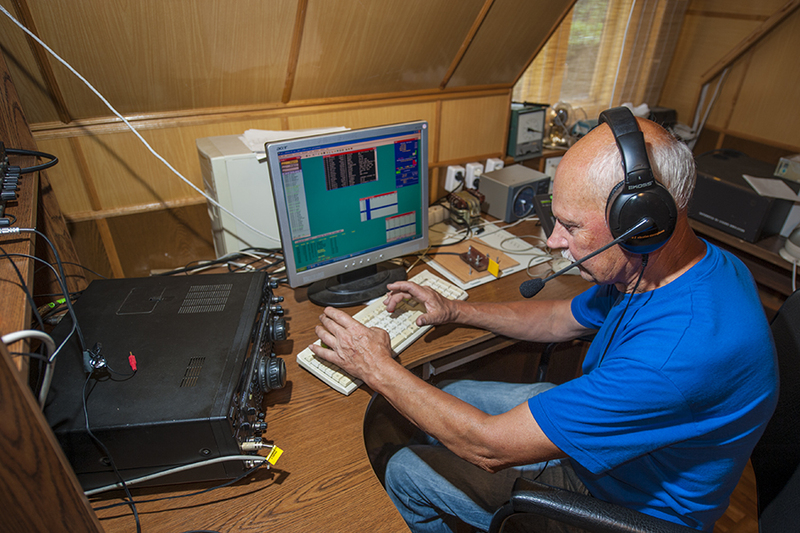 The ARDF - or Fox Hunting - is a popular sector of Amateur Radio in Lithuania. 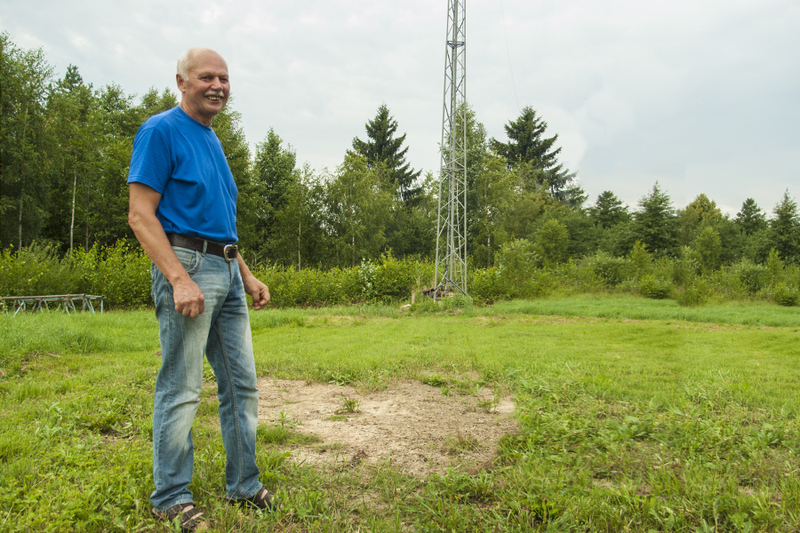 A few years after Lithuania became an independent country again, in 1996 Jurgis could afford a commercial transceiver. His call sign was changed to LY2CY in early 90s. The improving economy of the country allowed Lithuanians to buy imported goods and easily travel abroad. 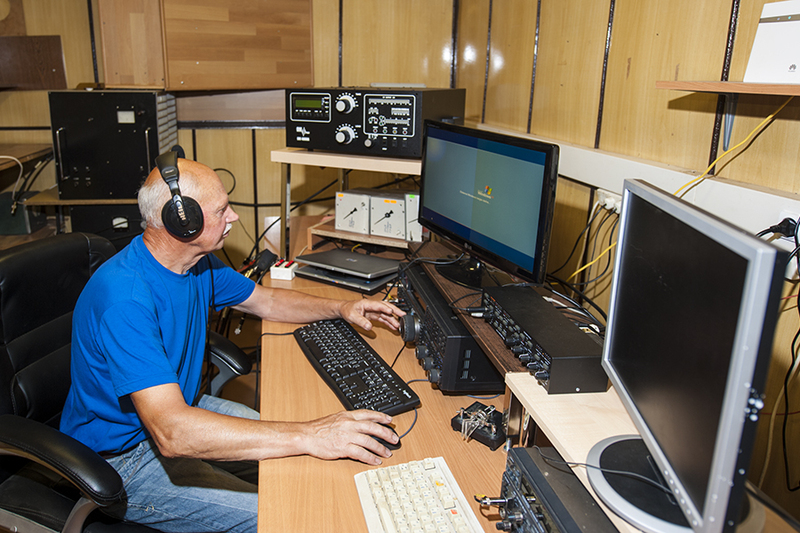 Using better equipment and larger antennas, his contest scores were improving and Jurgis took part in the WRTC2006 games in Brazil and in WRTC2010 in Moscow. The list of his contest expeditions to DX locations is quite long, sometimes together with his son Andrius, LY7Z. 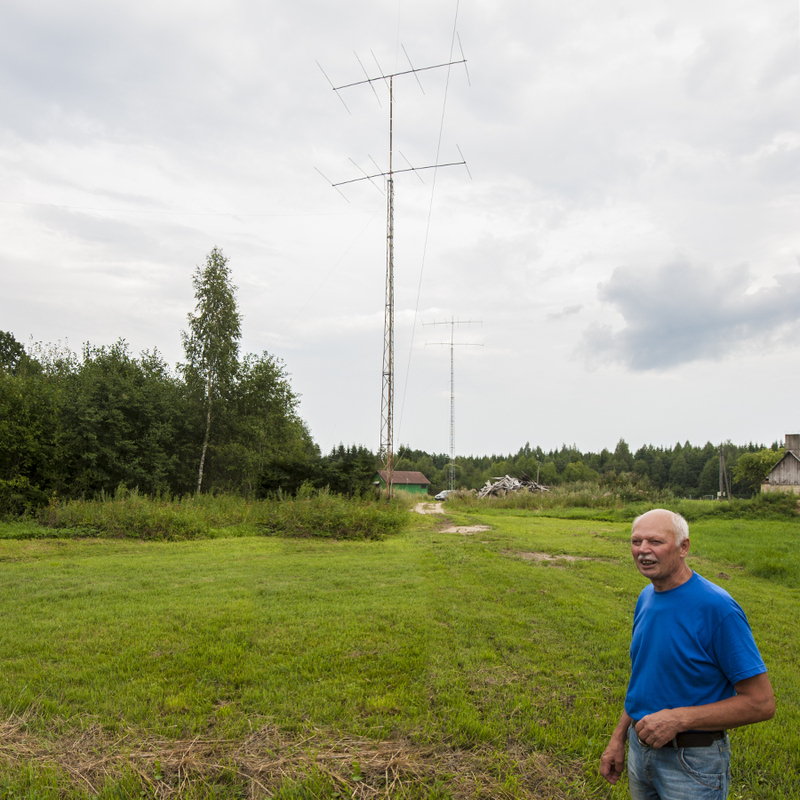 The family home in Kursenai with some basic antennas for all bands. Left: Andrius, LY7Z, - right: Jurgis, LY9Y. 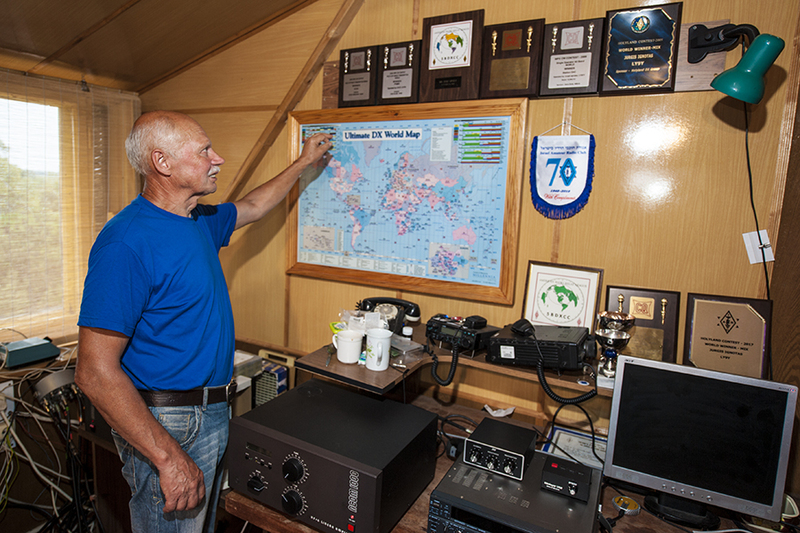 Andrius grew up here and learned all about Amateur Radio from his father. Jurgis, LY9Y in his radio room in the attic in Kursenai. Some of the plaques are for contest expeditions. At home the station is modest. Even the Morse paddle is very simple. The setup at home allows to take part in some less demanding contests and chasing DX-peditions. Some 8 km from town, there is the contest site of Jurgis. There are three large freestanding towers with monobanders. Jurgis, LY9Y, is 71 years old now and retired. Still, he does a lot of antenna work himself. Inside the contest shack the equipment is better and newer. The contest station is designed for two operators and sometimes father and son team up for multi-op participations. Jurgis, LY9Y, with his grandson Rokkas. It looks like the boy is really keen on exploring the passion of his father and grandfather. No doubt about it - Jurgis is an exemplary father (maybe grandfather, as well).